Same as “Woman Applying Makeup,” this artwork was created as a private edition in his closing years. 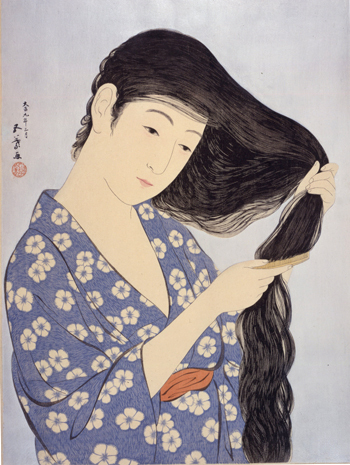 This crystallization of masterful techniques and choicest materials well embodies the spirit of Japanese modern woodprint movement during the Taisho period. Together with artwork by Hasui Kawase, it is also known as part of the Japanese woodprint collections owned by Steve Jobs.